Anil- my EAD receipt number is WAC1990169997. I read somewhere that digits 6-8 represent working day of particular fiscal year. What does “901”in my receipt number represent? Please advise. USCIS has started using a new receipt number system where the 901 does not represent the working day. We do not know what it actually means. 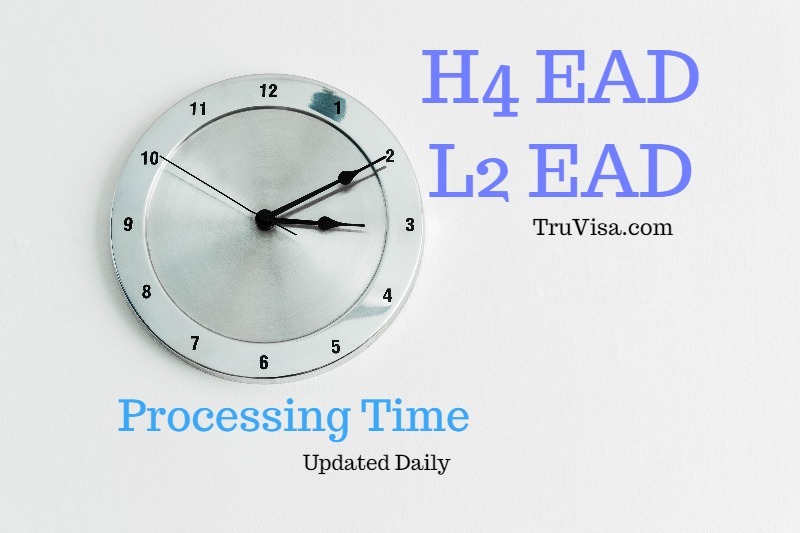 Will USCIS send email notification when H4 EAD is approved or do I need to keep checking USCIS Case Status? If you have registered on USCIS case status website, you can add your case receipt number there and enable email and text alerts. You will get both email and SMS on mobile as and when a status update happens on your case. JFYI, My L2 EAD renewal is done, receipt note date 01 Feb. 2019, at California service center. Thanks for sharing your information. I appreciate it. 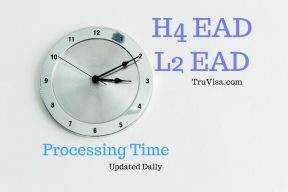 Thanks for this site, i checked it quite a lot while waiting for my EAD. I attempted to update my status but it still reflects pending – Just wanted to update that my L2 EAD was approved at California on 18th April, card has been sent. My receipt date was 13th February and I did not use premium processing. Thanks for sharing your case update. We appreciate it.